In summer 09 the band isolated themselves at a cottage in Northern Quebec to begin work on what was to become “No Ghost”. Songs took shape at all hours, crafted from hazy late-night improvisations and early morning melodies pulled from the thinning threads of sleep. Modernity clashed with the bucolic via exploratory percussion, feedback, acoustic textures and the natural surrounding sounds. The band then traded trees for telephone poles to finish recording in a sweltering heatwave at Montreal’s Treatment Room Studios. Free from the emotional weightiness of Glory Hope Mountain’s highly personal material, No Ghost showcases the levity and spontaneity of The Acorn’s celebrated live shows, all the while highlighting Rolf Klausener’s literate and vivid lyrics. Swathed in Talk Talk-esque spaciousness and atmospheric feedback reminiscent of early Yo La Tengo, “No Ghost” is a fitting soundtrack to both the tranquillity of the country, and the sodium-lamp lit romance of city nights. 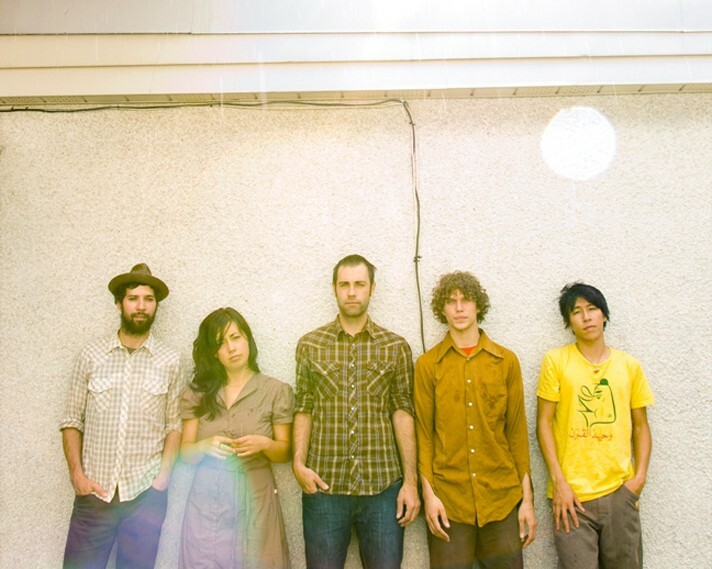 Since the release of “Glory Hope Mountain”, the Ottawa-based band have toured Europe and North America extensively and been selected for the long-list of both the Polaris Music Prize and the Uncut Music Award. Greatly respected by their peers, The Acorn embarked on a number of high-profile support tours in early 2009 with the likes of Fleet Foxes, Bon Iver, Calexico and Elbow, after Guy Garvey named “Glory Hope Mountain” his favourite album on 2008.